Trust Me—Buy This is a monthly series where our market editor, Nicole Eshaghpour, makes her favourite real-life fashion finds shoppable for Who What Wear readers. In case you’re new to this, today I’ll be rounding up my favourite items of the moment with more of a personal spin than your usual shopping story. These special selects are the pieces I’ve been loving not only online, but IRL too. 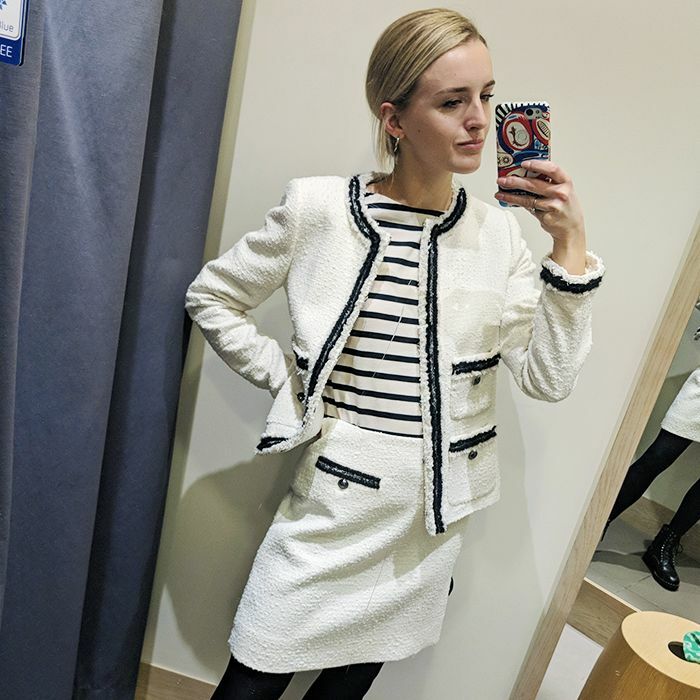 With a little help from my shopping-focused Instagram account, @trustmebuythis, where I share my own snaps of items I’m into at the moment, I get to both show and tell you what I’m really wearing this month. So what's on the docket today? Everything from an Insta-famous statement coat I finally got my hands on to an everyday overcoat I get (almost) too much use out of, black ankle boots for both day and night, jeans, jewellery, accessories—and, of course, a mix of high-end investment pieces and budget-friendly steals I think you’ll love. Simply scroll down to see and shop my picks. 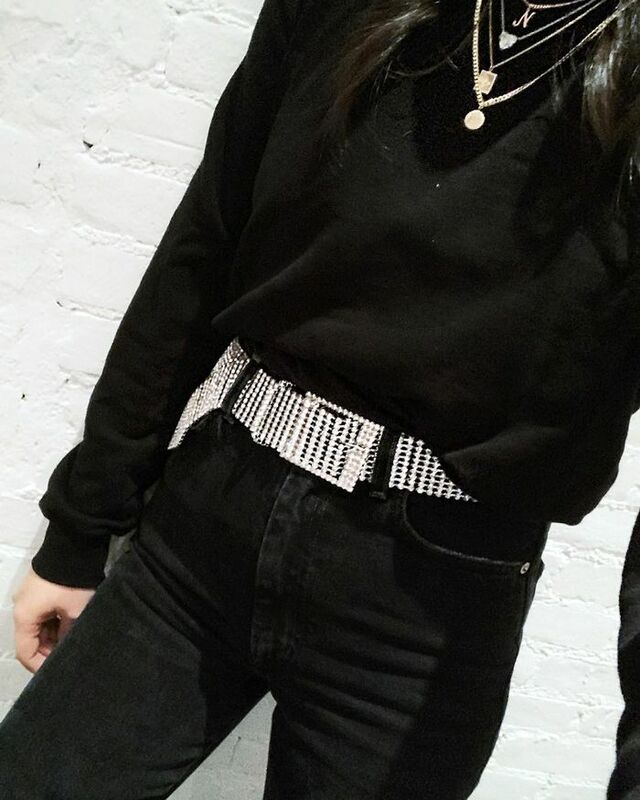 This oversized crystal belt is one of those things you could literally wear with anything and it would make your outfit cool. I've been wearing these boots nonstop since buying them on sale a couple months ago. I love the pop of orange, the zippers, stud details and the fact that they're made from durable nylon rather than leather or suede. As you can see from some of the other items in this roundup, I love a statement piece here and there, but this is really how I dress 95% of the time. An easy, oversized coat, black denim, any one of my million white T-shirts and ankle boots. Aside from the relatively reasonable price point, I love that this bag actually holds all my essentials while still giving any outfit a touch of (the loveliest) colour. A better look at the bag from the last photo. I recently purchased this and literally could not wait to wear it. I love the chainlink strap, the geometric design and the fact that it (somehow) fits my giant iPhone XS Max. I got this Trademark bag with the intention of using it for work and it has seriously delivered. It perfectly fits my laptop, wallet and all other essentials, and is a major upgrade from the promotional totes I'd been previously using. Plus, the mock-croc texture is so luxe in person. While you can't see much of either, pictured here is my new favourite (sparkly) swimsuit from Oseree and a Sleeper pajama dress that I recently discovered makes for a perfect cover-up. If it's not already abundantly clear that I love black ankle boots—I do. This pair is my most recent purchase (I think?) and, while delicate, I have found myself wearing them quite a bit to events, dinners and other evening activities. They make the perfect statement while still feeling subtle. I've dreamed of owning a Saks Potts coat for years, and as you may be able to gauge from her smile, so has Lauren. While I don't suggest walking around the streets matching with someone (unless you're into stares and the occasional commentary from strangers), I do recommend snagging any one of them if you're in the mood to splurge on a statement coat.